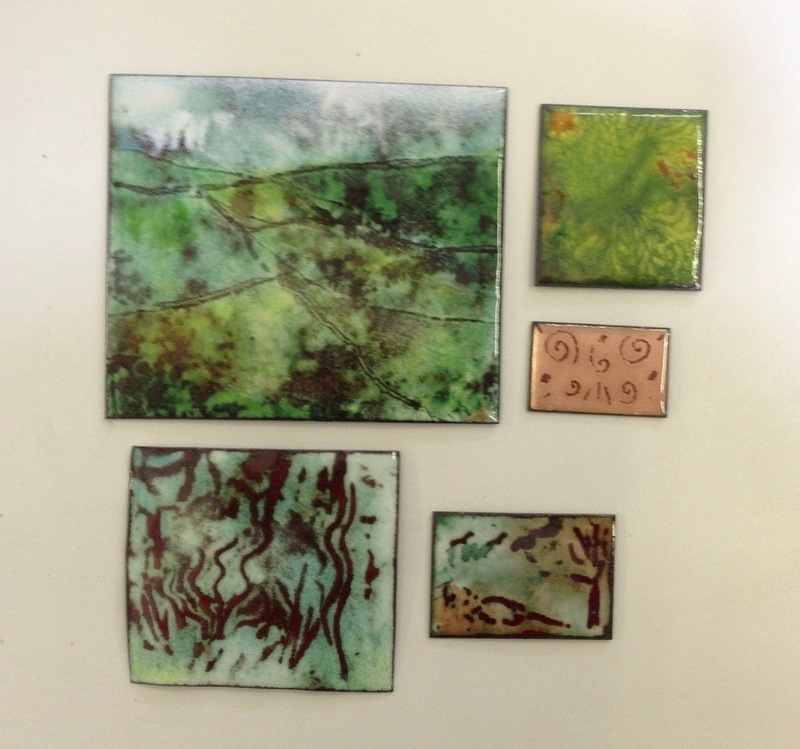 Today I have had a lovely day teaching Denise a little bit about enamelling on copper. She brought with her a small enamelled picture of trees by Harry Nicholson that she had bought some time ago and was intrigued by. She began by learning to sift thin layers of enamel onto small pieces of sheet copper, drawing into the layer of powder before firing it in the kiln at 800 degrees centigrade. Initially she used flux and white, using the copper oxides that form where the lines are drawn through the first layer to create patterns. Having established the basis of patterns she then added coloured enamels on some of her pieces. Denise finished with the largest piece where she allowed the view of the dale looking out through my studio window to inspire her and created this wonderful little landscape panel. I know she enjoyed her day here and I always enjoy seeing how creative people can be within such a short time. I am sure this will be just the beginning of her adventure with enamel!